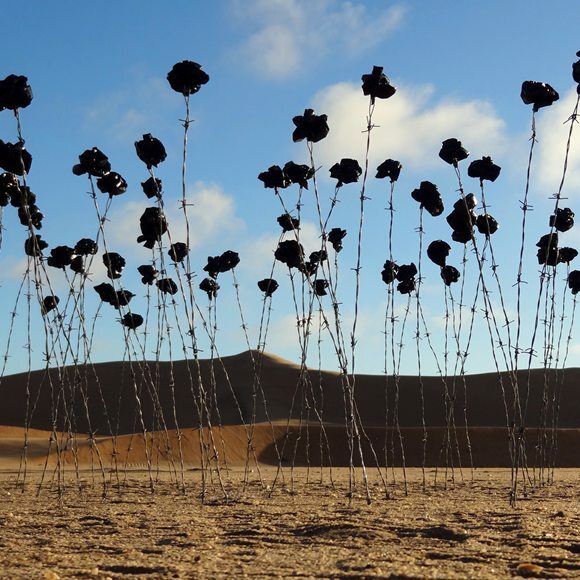 The 99 black roses are a symbol of concern and sorrow about the corruption and withholding of important information regarding the uranium mining industry within our government. Indirectly it also speaks about the universal issue of transparency and access to information, i.e. the new Namibian Research Act, Wikileaks versus NDAA, the Secrecy Bill of South Africa etc.